As the protests in Sudan escalate, Sudan’s Ministry of Higher Education advised public and private universities to shut down and some followed though leading the Egyptian parliament to call Egyptian students studying at universities in Sudan to come back to Egypt in order to resume their education. Most universities have shut down for several reasons. Some wanted to ensure the safety of their staff, faculty and students. Other were forced to shut down as a result of civil disobedience by professionals and students. This, of course, will cause a delay in the curriculum and some universities have already postponed their examination period until further notice, especially when many students failed to attend their examinations as an act of protest. Egypt Today reported that Egyptian MP Mohamed el-Ghoul, a member of the Human Rights Committee, drafted a proposal to the House of Representatives on how the recent events in Sudan will negatively affect Egyptian students studying at local institutions. The MP suggested to bring back all Egyptian students and have them enrolled in Egyptian universities to resume their education. This course of action follows the same footsteps Egypt took when the situation in Syria erupted. 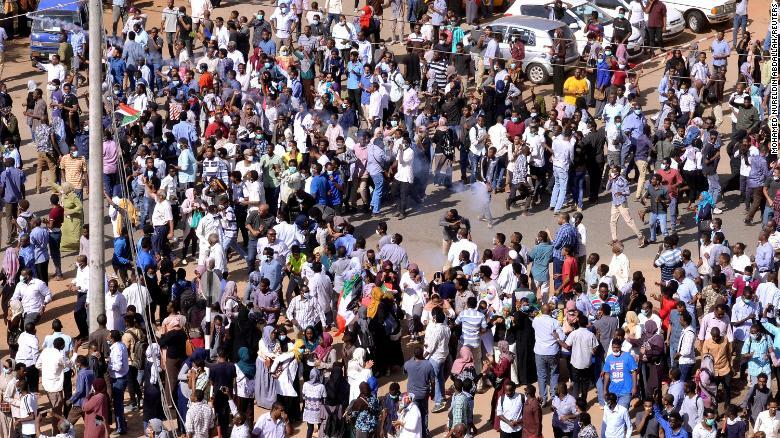 The protests in Sudan have been ongoing for two months across all states calling for the fall of President Omar El Bashir’s regime. Since then, 57 protesters and police officers have been killed. Although the demonstrations began as youth movement, gradually they have gained support by professionals including doctors and professors, some who have decided to stop working as an act of civil disobedience in support of the protester.